You may wonder what this post has to do with "Cheese Plates and Room Service," and I'll admit it is a stretch to say that this fits in with the theme, but you could consider the Lititz Wolf Sanctuary a hotel for wildlife and instead of cheese plates, frozen turkeys and roadkill tend to be their snack of choice. Plus, there is an historic B&B onsite called "The Speedwell Forge Bed and Breakfast," where you can plan to stay if you visit the Sanctuary, so I suppose I'm not deviating from the theme too much this time. Rather than focusing on the onsite B&B however, I've chosen instead to describe the sanctuary due to the unique nature of the place. For those who enjoy wildlife, it's a must-see destination to add to your travel plans if you happen to be poking around Lancaster County, Pennsylvania. 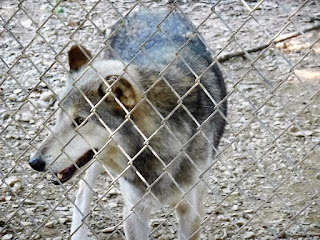 The non-profit organization was borne out of love and dedication to the well-being of the wolves that lay claim to the sprawling expanse of land. According to the Pennsylvania Game Commission, due to a bounty that was placed on wolves starting in the late 1600's and continuing through the early 1900's, it's been 100 years since the last wild wolf existed in Pennsylvania. Darlington certainly had the room to accommodate the wolves on his 120 acres of land, which once operated as a horse and dairy farm in the 1970's. “Until 1993, Bill funded it all himself. He invited friends over and took them on tours. They would spread the word and others would visit. 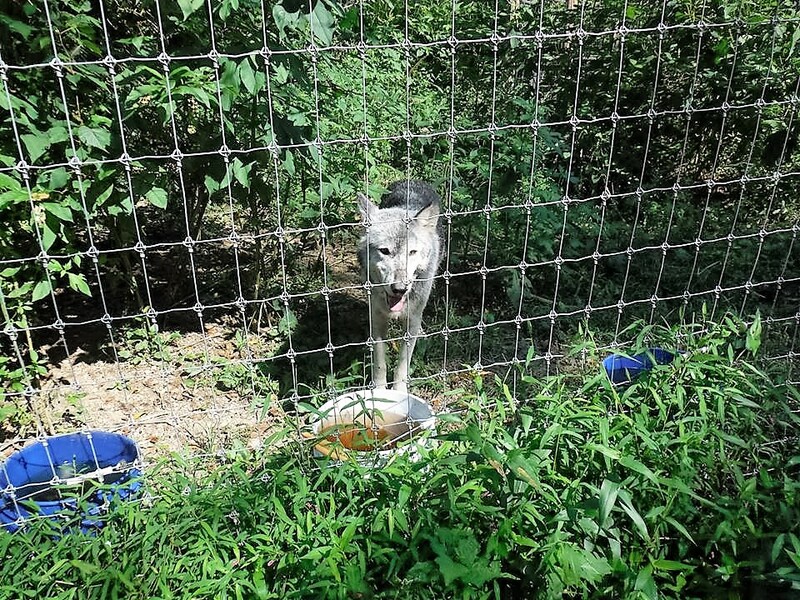 Eventually Darlington established the wolf sanctuary as a non-profit and started doing tours to help with expenses,” said Tompkins. When Darlington passed in 1998, his daughter Dawn took over and has been running the place with Tompkins ever since. “Since 2007, we’ve made a lot of changes, added new enclosures and revamped old ones to keep up with the changing laws," said Tompkins. 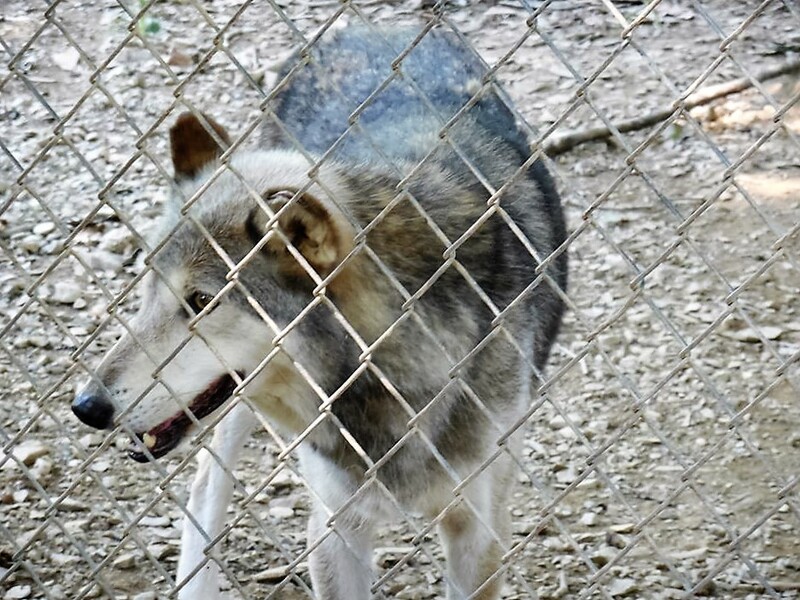 Today the wolves roam approximately 30 acres in enclosed areas on the property. Volunteers come from miles around and do everything from cleaning, to running the gift shop, to conducting tours. Guides stand at the front of each enclosure and feed raw meat to the wolves, who anxiously await their meals, much to the delight of the crowd. Guides engage the public, answering questions and imparting information on life, habits and behavior of the wolves on their property and in the wild. “We try to make it informative and educational,” said Tompkins. 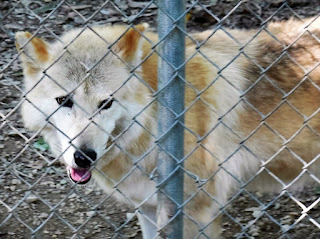 Wolves roam grounds of the Wolf Sanctuary in Lititz, Pa.
Dennis Binkley has been a tour guide for approximately eight years now. The Lancaster County resident said, “I’ve always had a fascination with wolves and my wife and I went up six or seven years ago and we kept going back, so we signed up as volunteers.” His wife helps run the information center, while Dennis gives tours. “I love talking to people and educating them on the wolves,” he said. Binkley said the wolves aren’t vicious toward humans, but only about 10 of them permit touching. “We can interact with a few we bottle fed as puppies and they will rub against you, but if you reach down to try to touch them, they take off,” he said of the animals. “Some come once or twice a year, others come quite often,” Tompkins said of the volunteers. “It’s hard to get people to volunteer during the week, which is why our tours are limited to specific days." 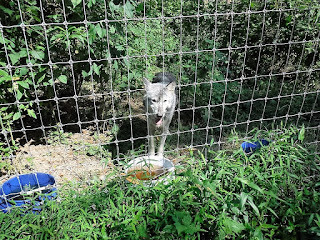 Because one wolf can eat 25-30 pounds of raw meat in one feeding, providing them with enough food can be very expensive, according to Tompkins. “Companies who distribute meat to grocery stores will sometimes bring it to us if the meat has been refused. For instance, once there was a leak and blood was on the boxes, so they called and asked us if we wanted it. People clean out their freezers sometimes and bring us food and sometimes when there is a power outage, people bring us food too. Hunters sometimes give us food as well.” The organization has also been known to receive calls when roadkill is spotted. Tours are conducted at 10 a.m. on Saturdays and Sundays from June through September. 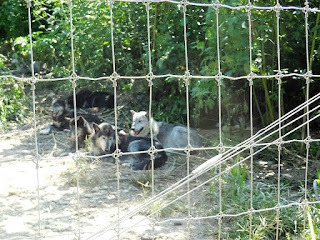 “We like to have the tours early before it gets too hot for the wolves,” said Tompkins. From October through May, public tours are held on Saturdays and Sundays starting at noon. Entry fees are $12 per person, $10 for children and $11 for senior citizens. Tours are also conducted on Tuesdays and Thursdays by appointment. The Bed and Breakfast, mentioned earlier, also belongs to Darlington and dates back to 1760. Two private cottages are situated on the property and feature eat-in kitchens, whirlpool tubs and fireplaces. The main house features three guest rooms and visitor staying there are permitted to tour the grounds for free. 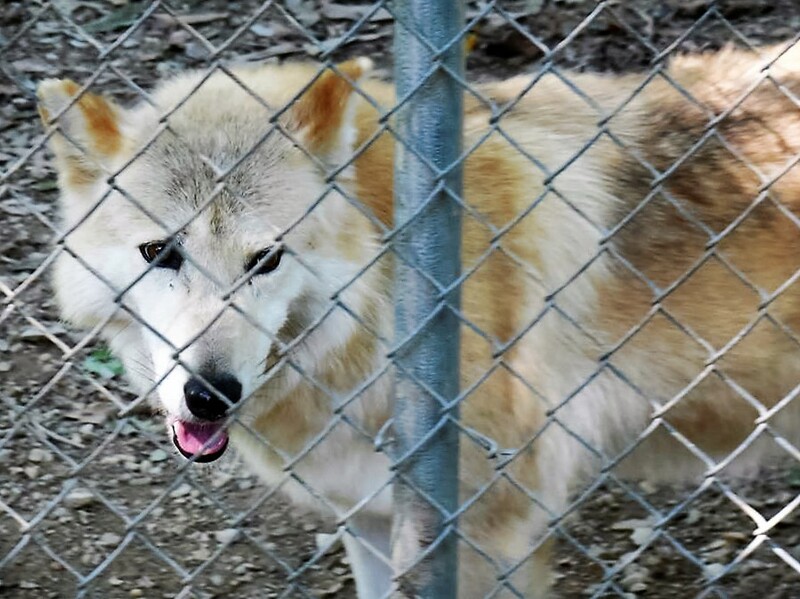 For more information on the Bed and Breakfast visit Speedwell Forge B&B and to learn more about the Wolf Sanctuary visit at: www.wolfsanctuarypa.org.